If you thought I was going to go another week without posting a delightfully potent, yet pretty cocktail, then you would be wrong! I’ve been foraging for new cocktail recipes to try and I stumbled upon a recipe for a caipiroska. The drink is similar to the Brazilian caipirinha, but instead of using cachaca, it is prepared with vodka, which I had on hand. There seem to be many different versions of the drink, but the common denominator seems to be lime, sugar and vodka. During a particularly fruitful forage on Pinterest, I stumbled across this kiwi caipiroska recipe. The picture was so very pretty and the drink looked so refreshing; perfect for a hot day like today (it was 95 degrees)! So, off the the grocery store I went and since both kiwi fruit and strawberries were on sale, it seemed like a match made in cocktail heaven. By the way, I am drinking the caipiroska as I write, which is, once again, proving quite difficult! I should call myself The Tipsy Blogger! 1/3 cup good quality vodka. I prefer Grey Goose–very smooth! 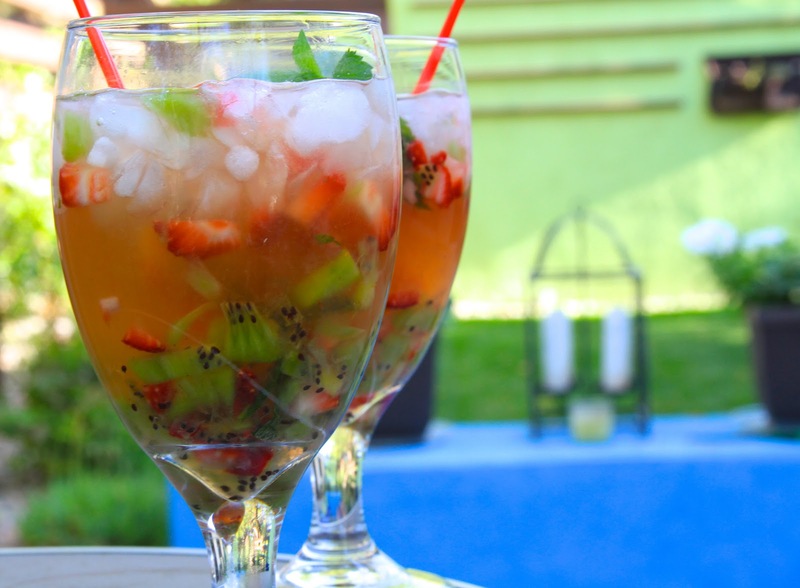 Muddle the mint leaves, simple syrup, kiwi fruit and strawberries in a chilled glass until well mixed. 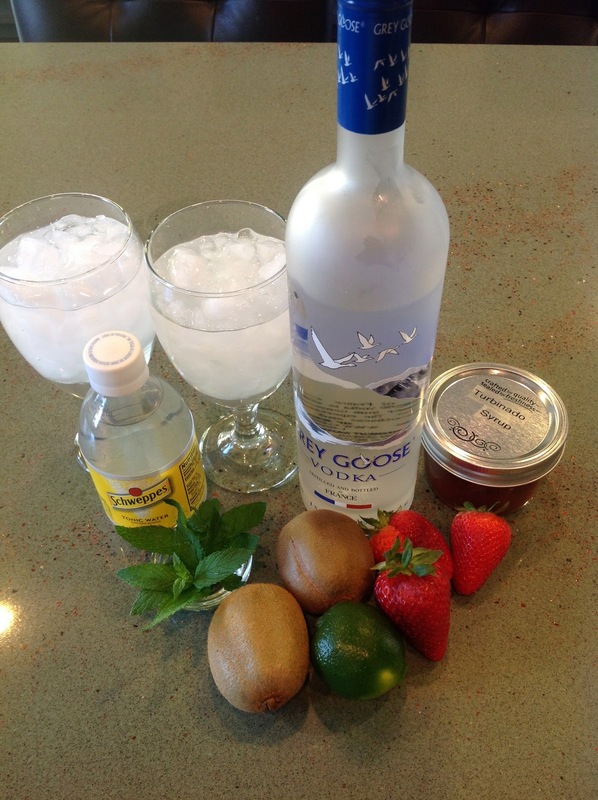 Fill the glass with ice and add the vodka and lime juice and stir to incorporate. Then add tonic water to fill the glass and give it a quick stir. Cheers!